Our Store Vine Box Wine store is offering handpicked selection of well-made and fairly priced wines. We believe that wine is an important part of the meal enhancing the food's taste. That is why we arranged our wines by their structure and flavor profile; starting with light-bodied whites to full-bodied reds. We believe that shopping for wines should be an uncomplicated process similar to that of picking your favorite cuts of meat at your local butcher's shop or to that of choosing the freshest of fruits from your grocery's produce section. Our Wines We don’t sell run-of-the-mill reds, sparkling, and whites as we are committed in delivering well balanced, great tasting "vino" from both the Old and New World wine regions. Understanding importance of "green" winemaking practices many of our wines are produced from organically, biodynamically and sustainable grown grapes. We are proud that our collection features the most extensive varietals, thus ensuring that each and every customer finds that one wine which perfectly matches their personal taste. As a specialty wine store, we make it a point that we carefully pick and taste all the wines that we sell in our store to ensure quality and food pairing abilities. We are confident that you will walk away with beautiful, well-made bottles of wine each and every time. Our Service Our customer service starts with sharing our passion for wine with our customers and our well-priced carefully chosen selection of vino. 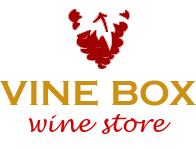 Then our customer service continues with our carefully designed wine shop that makes selecting wine easy and fun. Every week we will feature "wine of the week" at discount price to give you opportunity to try something new. Our service is further enhanced with tasting events, food pairing suggestions and our personalized care to assist you with a purchase of great wine for a special dinner occasion or gift ideas for family and loved ones. And as seldom happens, if you are unable to find your favorite, we will be more than happy to offer you the closest match from our store’s current wine collection.